1. What name will you give to your site? The most successful websites have the most recognizable names. They have become brands; and people remember them instantly at the top of their heads. The domain name of your site is critical to the success of your business: it is what users will remember. If your domain name is more convoluted than a maze, chances are users may not think of your site first and instead go to your competitors. The drawback, though, is that many good domain names have already been taken, so you either need to be extra creative and think of something unique or go for the long names. Choose a unique name that is easy to remember. The name “Amazon.com” has nothing to do with its business — a giant online shopping site — but Amazon.com has managed to create a powerful online brand. Same with Google.com or eBay.com – businesses that chose catchy, distinct and easy to remember domain names for their businesses. They chose domain names that turned out to be good brand names as well. Choose a name using appropriate keywords. Keyword names such as “style.com”, “business.com,” “money.com” and other one-keyword names were highly sought after at the start of the Internet frenzy in the 1990s. The thinking then (up until now) is that users are most likely to remember the web site’s name if it uses the actual topical keyword. A person looking for information on loans might go to “loans.com” or “eloans.com.” As a result, demand for keyword domain name surged. Web site owners are currently faced with the fact that most if not all of the single word keywords have already been taken or sell at a very high premium. Given the scarcity of good keyword domain names, many site owners have resorted to using multiple-word keyword domains (e.g. keyword1keyword2), or domains that use hyphens (e.g. keyword1-keyword2-keyword3). Aside from the “keyword equals recall” mindset, advocates of this system think that using keywords in the domain name may positively affect their search engines ranking (in terms of keyword density as the keywords are already found in the domain name itself). However, there are indications that some search engines are dropping hyphenated keywords in their databases; hence the claim regarding the search engine advantage is sketchy at best. Be very careful in using exact keywords as your domain name especially if your website is perceived as low quality. 2. How do you envision the design of your web site? Web site design features both form and function. It is the visual manifestation of your web site’s objective through the combination of content, layout, usability and navigation. Site design is extremely important: it can either help make or break your site’s stated purposes. Decide on a look that matches your overall purpose. Your site design must reflect your overall purpose. An advertising-based website must consider ad spaces and ad formats that the site will sell in deciding the layout of the site. Will a half page ad be used, or a leaderboard, or a rectangle? How will the bottom part of the page be utilized? On the other hand, a product-oriented site may go slow on advertising spaces and instead focus on how the products will be presented well in the design. Do you need space for a featured product? How about upsells and cross-sells? Go for a site design that is pleasing overall. The site must reflect the image of the business you want to project. Do you want a minimalist look characterized by clean and simple lines (a no-fuss approach)? Or do you want to convey a whimsical image using colors and bright images? Do you want to convey the appearance of a big business, where people looking at the site would think that a hundred employees run your site when in reality it is just a one-person operation? 3. How will you create your website? There are two approaches to creating a website: (a) either you do it yourself; or (b) hire somebody (often a web designer) to create the site for you. If you will create the site yourself, you need to have a working knowledge of HTML at the very least. Some of the software you can use to create your website include Dreamweaver, Adobe GoLive, and others. If you have more advanced programming skills, you can create a database-driven site that will run using ASP or PhP technologies. You can also create websites using platforms such as WordPress (read the article How to Create a Website with WordPress for Under $100. 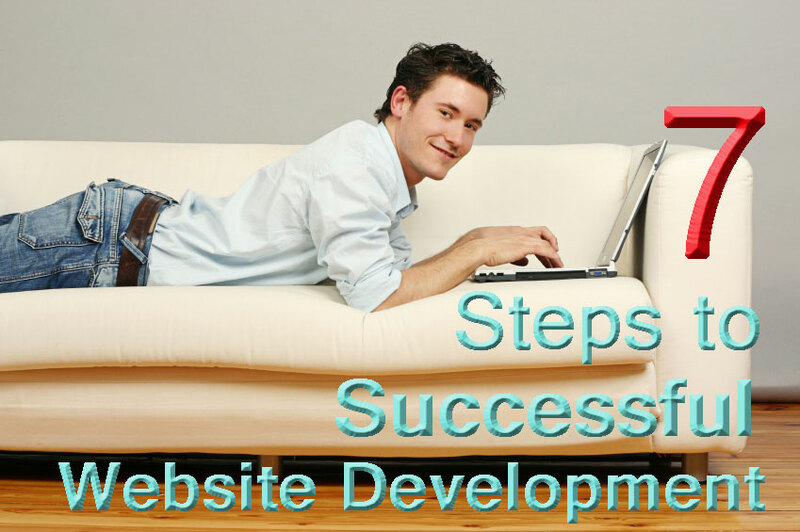 If you have no or little skills in website creation and design, you can outsource the process. Hire a web designer that will fit your budget and able to create the site that you envision. 4. How will you create your content? The first step is to create a content plan, which will outline the various types of content that you will need, sources of content, frequency of updates, person/s responsible for content as well as budget for content acquisition (if any). Your website’s goal will determine the nature of your content. If you intend your website to be an extension of your current offline business operation and not as a way to create new revenue streams or develop new types of business partnerships, then your content plan should aim to keep things simple and informative. Your content requirements will depend on the type and nature of your website. An e-commerce site will need item pictures, product description, and sales copy. On the item pictures, you will need to decide you will do this internally or hire an outside photographer; if internally, whether you have the skills, equipment and talent to take good quality pictures and edit them in a photo-editing software; or if outsourced, how much are you willing to pay the photographer and whether you will have the budget for it. How do you intend to create your content? You can either choose to manage and create your content manually or automatically. There are a number of content management applications that you can use to make content management a breeze, particularly if you have hundreds or even thousands of pages. You can change the headers quickly, without going through each of the pages and changing the headers for each page. How many people will be involved in creating the content? Your content management system should be equipped to handle several users, particularly if the users are in different locations. 5. How will you maintain your website? Who will be responsible for adding content? How will you make corrections or changes in the content, layout or navigation? Do you have the skills to do it or will you rely on someone else?